Of Wiarton, peacefully at Southampton Care Centre on Wednesday, March 6, 2013. 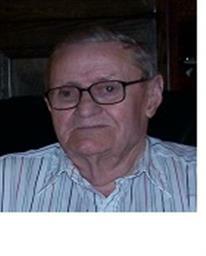 John Earl McKinnon at the age of 96 years. Beloved father of Don and his wife Ruth, of Kilsyth, and Shirley and her husband Jim Sinclair, of Wiarton. Cherished grandfather of David (partner Olivia Hamilton), Bryce (partner Melanie Scott), Dawn-Marie (partner Fred Belanger), John, Mary-Lynn Sinclair (partner Mathew Growden), and Dianne McCartney (partner Kevin Harders); and great-grandfather of Andrea, Isabella, Charles, J.-J., Lachlan, Austin, Nathan and Avi. Predeceased by his parents David and Blanche; and a daughter, Sheila; and his dear wife Merle (nee Kelly). Earl will be fondly remembered as the owner of "The Hitching Rail", and his interesting stories of his involvement with building the AVRO Arrow. Family invite friends to gather at the Thomas C. Whitcroft Peninsula Chapel, 272 Berford St., Wiarton (519) 534-5341 on Sunday, March 10, 2013 from 2-4 and 7-9 PM, where a service will be held Monday at 2 o'clock. Spring interment in Sanctuary Park Cemetery, Port Elgin. Members of Cedar Lodge #396 will provide a Memorial Service Sunday evening at 6:30 PM. Donations to the Heart and Stroke Foundation or the CNIB would be appreciated.